We have another dual themed challenge starting today at Winter Wonderland. The 2 themes are Let Us See a Christmas Tree/ Make It Cute. So you can choose one or other of these themes – or combine them. This is my card using Penny’s Christmas Star from Di’s Digital Stamps, available here. I coloured this cute image with Promarkers and Flexmarkers and added Stickles Crystal to the Christmas tree. The papers are from my stash and the star die cuts are ones I bought in The Range when we were in the UK in May – glittered with Stickles Frosted Lace and Glamour Dust. The ribbon is from my stash, the Christmas tree charm is from the Ribbon Girl and the sentiment is a stamp. I think this card will be going to one of my granddaughters – given the amount of pink on it….!!!! We’ve had lovely weather this week – with the temps reaching 30 and above – and yesterday it was too hot to sit out, even under the parasol. But hey, I’m not complaining – just wish I was at the beach with a nice cooling breeze. Oh what a cute image Alison, definitely cute, love the colours too. Hope you have a good weekend. What an adorable card! Love your sweet image and soft colors. Thanks for joining our Anything Goes challenge at Catch the Bug. I love the soft colours you used on your card! 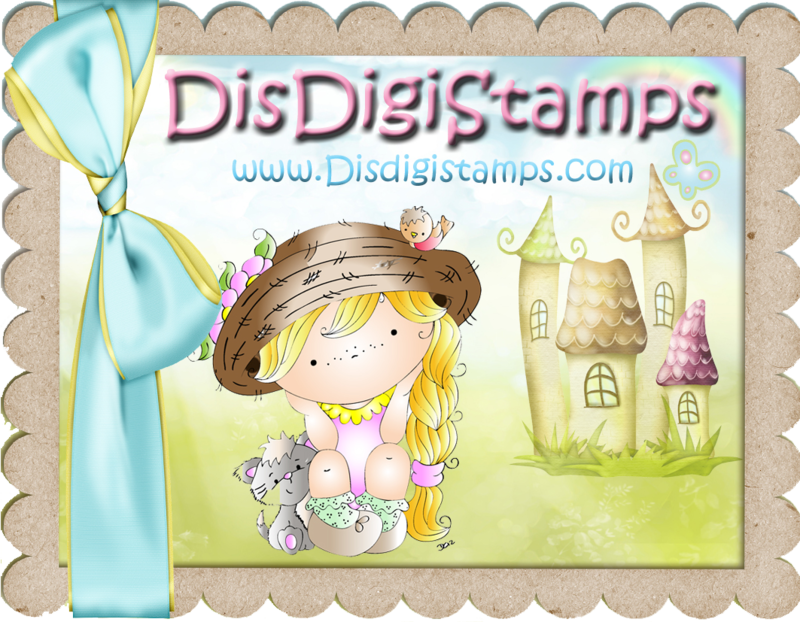 Thanks for sharing your lovely creation in our Anything Goes Challenge at Bugaboo Stamps’ Catch the Bug blog this week. Good luck. I hope you will join us for our week-long ‘Christmas in July’ event that launches tomorrow and where there are lots of prizes to be won! A fabulous Christmas card, such a pretty image and lovely pastel colours. This is so super cute!! Love that pretty image and gorgeous colour combo! The star die cuts look really lovely and the bow and charm finish it just perfectly!! Fab Xmas card! Such a sweet image and I LOve your colours and this star die is so pretty. Thank you so much for joining us at ABC Christmas Challenge. Hi Alison, this is a lovely card. I really like how you have coloured that cute image and your card design is really pretty. Thank you for joining in the fun with us this time at ABC Christmas Challenge. Super sweet image and coloring!